Discover an abundance of things to do outdoors in Upstate New York; like ice skating, skiing, and other fun-filled activities. Whether you're looking for kid-friendly outdoor activities in Upstate New York or fun things to do with your best friends, Fun New York is your go-to guide. Find fishing, hiking, golfing, and other cool things to do outdoors in Upstate NY. Explore our comprehensive directory of biking in Upstate NY. Behold the beautiful Adirondacks and other Upstate NY attractions, as you embark upon one of these bike trails in upstate new york. 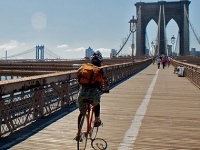 Find all types of places to enjoy biking in Upstate new york. Whether you're planning to visit Albany, Watertown, Ithaca, or other parts of Upstate NY; see our guide to boating in upstate ny. Find all types of places to go boating in Upstate New York. 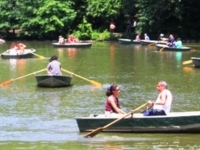 Learn all the information you need to know about upstate ny boating. Prospect for quartz crystals and engage in other fun activities at these caverns and mines in Upstate NY. Plan your upstate NY itinerary by exploring our complete list of caverns and mines in Upstate New York. 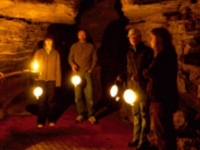 For the most fun underground adventures, read our detailed reviews of caverns in upstate ny. For the best horseback riding Upstate NY has to offer, search Fun New York's comprehensive guide. Find horseback riding trails in Upstate New york in the most scenic areas of the region. 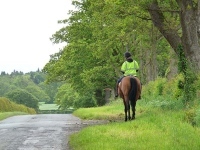 Search for horseback riding in upstate ny that is suitable for equestrians of all ages. Soar above houses, trees, and beautiful landmarks with one of these hot air balloon rides Upstate NY. Find all the information you need about reserving hot air balloon tours in upstate new york. 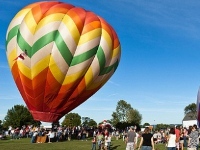 See a complete list of hot air balloon rides in Upstate Ny. Use this ultimate guide to the many relaxing leisure activities Upstate NY has to offer. 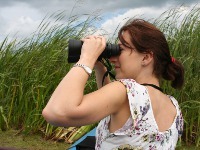 When it comes to outdoor leisure activities in Upstate NY you'll find our directory to be very helpful. For a true outdoor adventure, check out the best paintball Upstate NY has to offer. 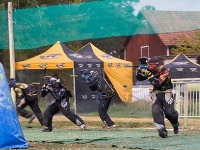 Find paintball parks in Upstate New York in Albany, Plattekill, and other parts of the region. Search for all types of venues that offer paintball in upstate new york. From ski lodges to the best places to go snowshoeing, find all sorts of winter activities in Upstate NY. 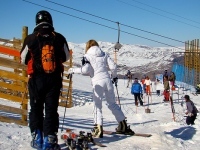 At Fun New York, we are your number one resource for winter fun activities in Upstate NY.